Casa de Lobos is a Rural tourism accommodation, with category of Country Houses. We are located in Cambeses, Cabeceiras de Basto, between the Cabreira and Marão mountains. You can see the location in the Contact page. Respecting the typical architecture of the region, this house was restored recently and supplemented with four great new build bungalows. For your calm and peaceful, Casa de Lobos, which is less than an hour far from Guimarães, Braga or Porto, is the perfect destination for a family holidays and for a restful weekend stay. In addition to accommodation, we have a restaurant and café open to the public. Family-friendly and great fun at another amusing party... Casa de Lobos thanks the guests, relatives, neighbours and friends who were present and gave life to this fantastic event in our establishment! View pictures and videos in facebook. Stay in our rooms with up to 40% off and breakfast included. In bungalows we offer up to 25% discount, bring your friends! Make your reservation and choose the half board pack, to get the best price in our restaurant. Also, we have long stay discounts for monthly, weekly or several days reservation. Check these prices in our booking system! Casa de Lobos in cooperation with its restaurant have developed some actions and events with various themes. The first important event was the official inauguration occurred on the 20th of July 2013. 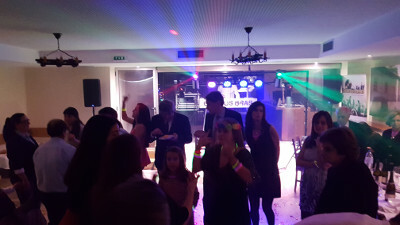 Several themed evenings have been held like Fados's Night, Valentine's Day, Lady's Ball, etc. The reception, where we expose products and receive visitors, is also a multifunction space. It becomes a stage because is implanted in a upper level relative to the restaurant. 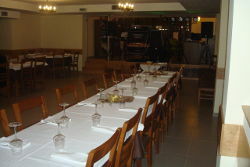 We organized private, particular and corporative events, to meet the needs for those who seek us. Cabeceiras Trail - O Trilho do Guerreiro (The Warrior's Trail) was a success! 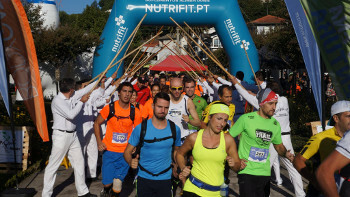 The first Trail in Cabeceiras de Basto took place last September 20th. The athletes could run trough the tracks that cross Serra da Cabreira and enjoy settings and natural views. The trails with 35 Kms and 18 Kms and the walking with 10 Kms began and ended in the Mosteiro de São Miguel de Refojos. This initiative by Casa de Lobos had many participants and it was an excellent way of promoting Cabeceiras de Basto. Cabeceiras de Basto dazzles with its beauty and surprises the visitors with its unique and ancestral landscapes, also with its human and cultural heritage. The S.Miguel de Refojos Monastery and the statue from the warrior “O Basto” are two of most significant symbols. It is located in the transition zone between the provinces of Minho and Trás-os-Montes. Characterized by the verdant valleys, mountain and picturesque villages, Cabeceiras de Basto is endowed of several autochthonous species of flora and fauna. The walking trails, the river beaches and the mountain-biking provide you a nature direct contact while at the same time you playing sports. There are so many reasons to visit us! Find out more. See you here?